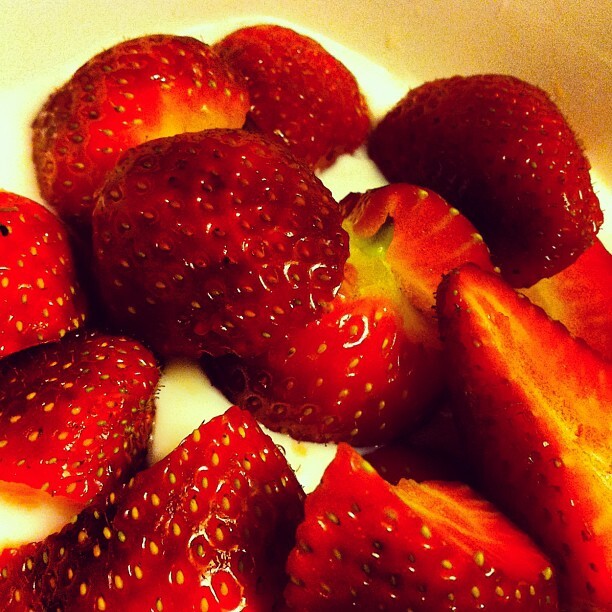 Yesterday I bought some strawberries at the local grocery store. True, they were shipped in from the west coast or some warmer and more tropical climes to the south of the U.S. (I didn't check) but they were still pretty good although many of the centers were quite pale and white. I have to tell you that in a pinch frozen strawberries are almost as good as the fresh ones, if defrosted slowly and carefully. On our last trip to Poland we noted that Polish strawberries are generally smaller than those we see in America and they have a more intense flavor because they are not harvested so early. 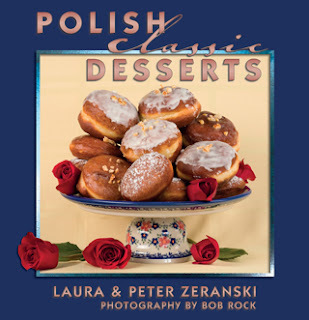 Here is an old fashioned dessert dating back to the Polish monarchies as well as the court of the Romanoffs, and the epoch of the last Russian czar. Within the walls of their sumptuous castles and grand residences, their days were filled with laughter, elegance and splendor. Banquet tables were heavy with delicious dishes meals prepared for aristocrats, diplomats and other gentry. 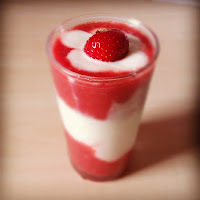 This particular dessert was favored by the diners but also by the kitchen staff because it is so easy to prepare. Serve it in your finest crystal glassware. Whip the cream until stiff. Beat the ice cream in a mixer until fluffy. Gently combine the whipped cream, ice cream, lemon juice and liquor and mix lightly. Fold in the berries. Portion into pretty crystal glasses and serve immediately.